For the Star Wars fans who missed it, Star Wars: Tie Fighter Special Edition & Star Wars X-Wing Special Edition are available DRM free on GOG for Linux. I didn't even realise they put the Linux version of these up, as they don't generally do a lot of announcements for games that get Linux versions. As a big Star Wars fan, I applaud this move. I have some fond memories of trying to play them both, and being the worst pilot ever. Can't wait to try again now I'm a bit older. Check Star Wars: Tie Fighter Special Edition, and also Star Wars X-Wing Special Edition on GOG.com. Will you be checking them out, or are they a bit too retro for your taste buds? Tie Fighter is my favorite Star Wars game of all time and one of my favorite space games. 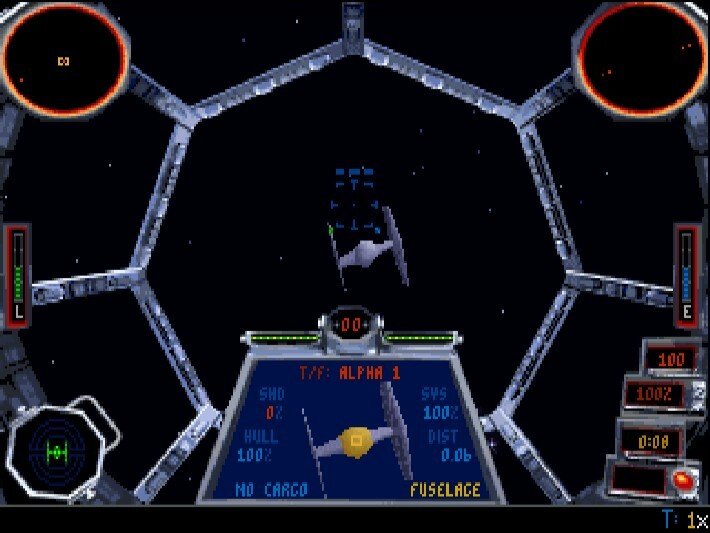 The 1995 collector's edition Tie Fighter is the definitive version to play. It has better resolution than the original DOS, voiced characters and includes expansions. The 1998 version was a different engine and I felt that the music was subpar. I'm glad to see that GOG included the 1995 version with their Linux release as it had previously been missing from the special edition. I'd be all over this and buy it if it weren't for the fact that I made a backup of my own disc over a decade ago and still play it every once in a while through DOSBox. Might pick up X-Wing since I lost the disc for that years ago though. Nice! Thanks for the heads-up, I had totally missed that when I saw the sale. Steam just released these games too, without a Linux version. Quote they don't generally do a lot of announcements for games that get Linux versions. liamdawe Steam just released these games too, without a Linux version. So you can really get your fill of Star Wars games from GOG at the moment. Hi Judas, nice to see you visiting GOL Just an idea - I think it would be good to provide more exposure for games which get a version for an OS which wasn't available before (for instance Linux, OS X, etc.). Because for users of that OS it's an equvialent of the full blown release, while such announcment is made only for the initial one (which is often Windows only or Windows + OS X for example). That way all platforms would be treated equally. It shouldn't be hard to add that into the stream of releases on the front page. Right now Linux feels like second class citizen when it comes to release announcements on GOG. If that stream is reserved for initial releases only, then another idea is to make another stream on the front page, for backlog subreleases. Shouldn't be hard either, but it would improve usability and discoverability immensely. I'll probably make a wishlist entry for that. I loved X-Wing when I was kid. It was the first game I was actually better at than my brothers/dad. Looking forward to wasting many hours on this again.